Nowadays, the comforting prospect of a ‘job for life’, is becoming more and rarer. In the increasingly digital and automated modern business landscape, people are switching jobs, careers, and industries more often, either out of necessity or in search of better opportunities. And as such, millions of people around the world are learning new skills to boost their resumes at various stages in their working lives. According to a recent study by Deloitte in-job training opportunities, and the chance to develop new skills are two of the most important drivers for Millennials when choosing employers, but this is also becoming very important to those at later stages in their careers too. 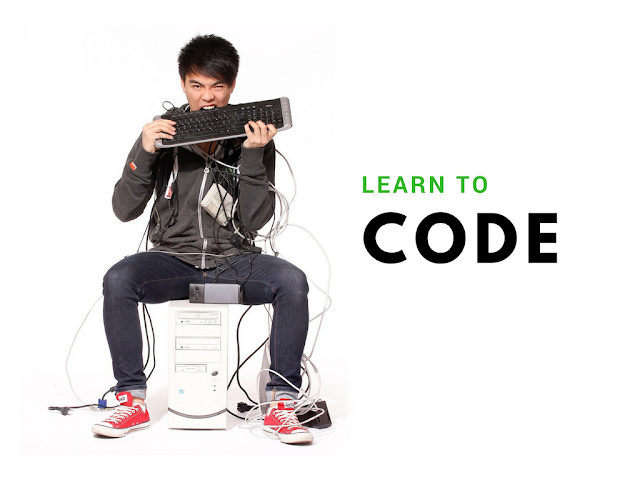 One new skillset which is extremely desirable is learning to code. According to a New York Times article demand for night classes and online instruction in programming, web construction and app creation had overtaken interest in more common new skills like foreign language learning back in 2012. Since then, coding boot camps, online courses, and traditional four-year college degrees to learn development skills have exploded in popularity. Whether it be due to comparatively low cost, the convenience of learning remotely, or because they are doing so in their free time on top of their regular jobs, many people trying to break into coding start off by taking online courses. There are many great online resources that can help students get their feet wet in code, but from our experience students tend to only get so far in the learning process before they hit a wall. The main reason for this is because learning to code, finding your own style, and learning which tools and coding language suits you best is most suitable to a cooperative learning environment. While many online courses offer limited one-on-one mentoring sessions, the majority of work is done alone remotely. Based on feedback from our students who have started off online before joining bootcamps, the ability to ask questions to mentors and join discussions with other peers gives students a huge advantage when learning. But don’t just take our word for it, there are multiple studies from psychology and education experts which suggest that working as a group directly improves an individual’s ability to learn and perform. Experts suggest that ‘socially shared cognition’ allows groups to be more creative, and develop more advanced solutions when working together on an intellectual task. Learning and working as a group also offers a window into the realities of working on a real live development team, which requires teamwork, humility and communication skills. Experts suggest that the mix of cooperative and competitive environments also makes students push themselves harder, egged on by the successes and support of their co-workers. 2. They don’t dedicate enough time to their learning. While many people may like to think they will work just as hard at home after a full day's work at their regular job as in a classroom, having a structured learning environment with deadlines, set hours and assignments, and familiar faces definitely make a big difference in productivity and assimilation of information. When learning a skill as complicated and extensive as coding, in our experience, students have to be very structured and organized in their learning to advance and excel in a timely manner. According to Malcolm Gladwell's thesis, it takes 10,000 hours to become an expert in a new skill… and this will take an extremely long time if you are only sporadically dedicating one or two hours a week to your studies. One hundred years more or less, by which point robots will most likely be ruling the world. Because learning to code requires equal measures of ‘book’ learning, and hands-on practice, becoming comfortable with new technology, frameworks, and languages, means moving at a steady pace. If students do choose to go down the route of self-study, ideally they should try and pencil in set times of the day when they focus entirely on their work, and set themselves consistent deadlines each week or month and stick to them religiously. Everything we do in our day to day lives is for a purpose. We exercise because we want a better-looking body and to be fit, we go to work because we want to earn money and advance in our careers. The same purpose is necessary when learning a new skill like coding. Learning to code is not easy, and if you don't have an end-goal, it can be tough not to get frustrated. You should always have a real-life project you're working towards. Whether your goal is to launch the next big app or developing a website, it is important to have constant objectives which you can meet over time. From our experience, this keeps students involved and interested, as the satisfaction, they feel when they meet their small goals, keeps them motivated and on track to meeting their bigger goals: getting a job in the tech industry. Stanford University has rolled out an innovative new program based on the theory of purpose learning. Following the theory, students are set a mission which they need to work towards over the course of their studies. The overlying theme is that instead of simply asking an undergraduate to choose a major like business studies, they would be asked to solve a problem, such as a child labor or world hunger. Rather than simply focusing on passing exams, students were effectively asked to plan out the first 10-15 years of their future working careers. This is the mentality which people learning to code should adopt too. Every new skill should be matched with a project, as a means of adding it to their toolbox which they can use in their future career with a leading tech company. Learning to code is tough, and due to the ever-increasing amount of people who are interesting in joining the industry, the quality bar is constantly being raised. So while there will always be people who simply cannot find the time or the resources to study a full-time course or attend a coding boot camp, it is essential that people who want to enter the world of development try to avoid these three major roadblocks during their learning process. Written by Cahlan Sharp, a veteran software engineer, entrepreneur, educator, and an amateur drone enthusiast. Cahlan is the Founder and CEO of DevMountain, a coding/tech school.